Today I had the chance to teach the play-doh area lesson that I did not get to the other day. 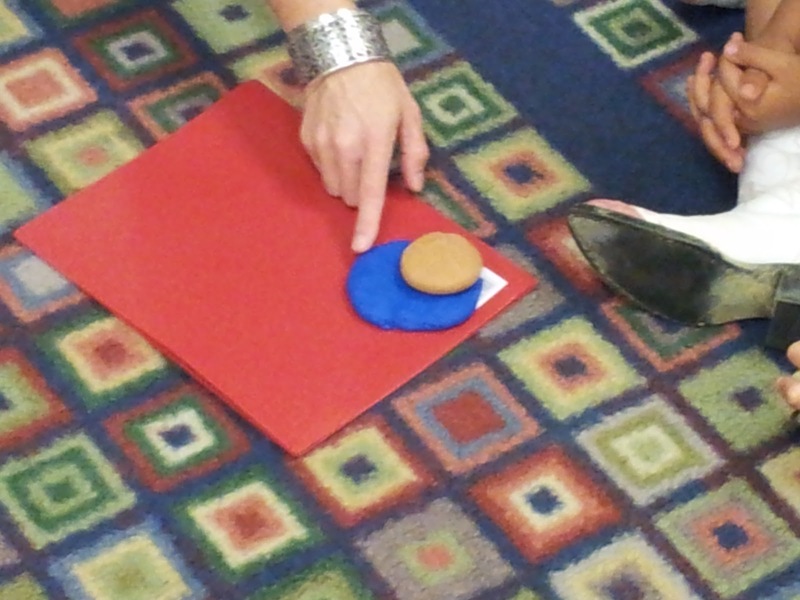 You can download the complete lesson plan for the play-doh activity here. It includes kid-friendly definitions, key understandings, and lesson plan steps. I started the lesson by asking students what they already knew about area. Most of their thoughts were related to their teacher telling them to "stay in their area." lol. Since area was all knew to them I had to explain to them what it meant and how we talk about area in terms of covers more space, covers less space, and covers the same amount of space. They kept using the words bigger and smaller, so I had to keep bringing them back to covers more space, covers less space, etc. With the help of another student, I modeled how to roll the play-doh into a ball, flatten it down into a circle, and compare the two circles to see which one had more area. Before showing them all of those steps, I asked them several questions to try and guide them to figure out that by laying one circle on top of another we could compare them and see which one had more area. Throughout our discussion, I continued to ask them what area was, which shape had more or less area, and how they knew. After I modeled this activity several times, I partnered students up and sent them to their tables with play-doh to explore on their own. While they were working together, I walked around the room and asked them questions about which circle had more or less area, how they knew, and what they did to find out. I followed up the play-doh area lesson with an independent activity to see how well each child understood area on their own. 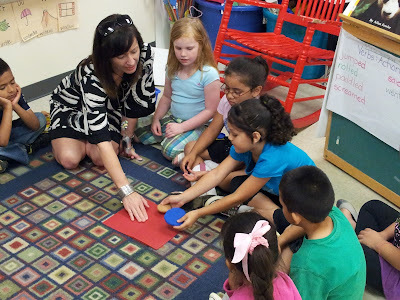 I brought the students back to the carpet so that I could model what I wanted them to do independently. 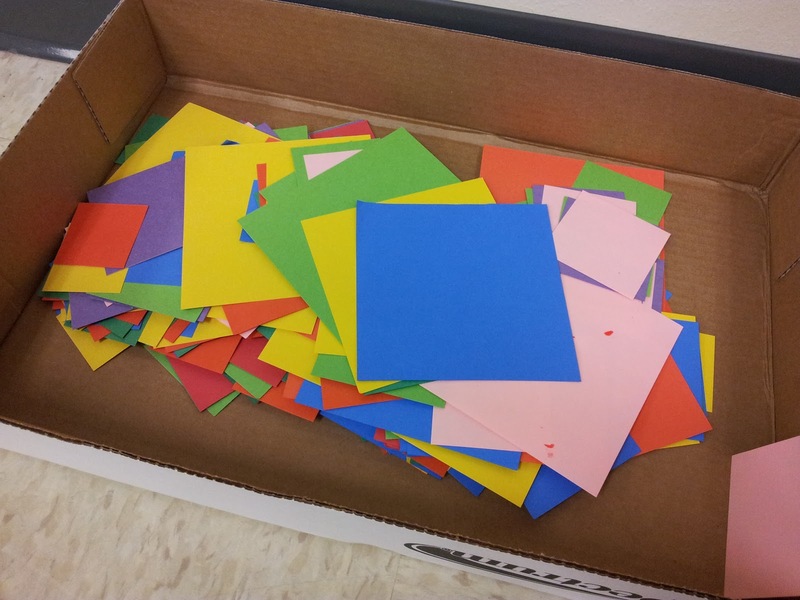 I started with a big box of colored squares in various sizes. I had several students come up one at a time and choose two squares, compare them, and tell which square had more area, less area, or the same amount of area and how they knew. For independent practice, the students choose two squares in different colors, compared them, and recorded which one had more or less area and why. 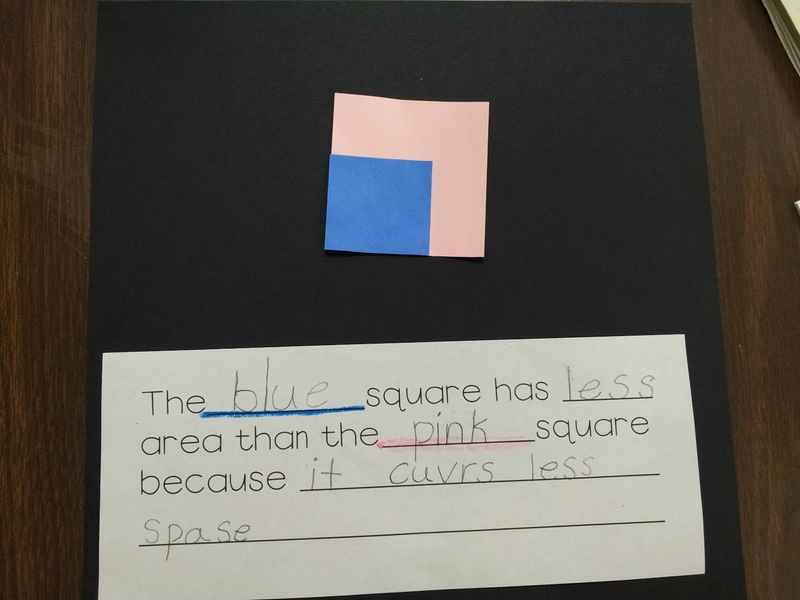 First, I had students choose two different colored squares and compare them to one another. Then they glued them together. Then I passed out the recording sheets. 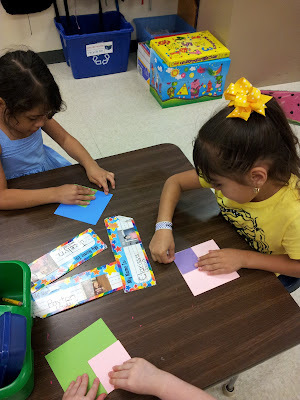 I had them choose one of the colors of their squares and write the color word in the first blank. Then they underlined the color word in its color. This was to offer extra reading support to the struggling students. Then I had them skip down to the next line and write the color word for their other square and underline it. I walked around and had small conversations with the students about whether their first square covered more area, less area, or the same amount of area as their second square. Then they finished filling out their recording sheet. As they finished up their work, I had them explain their process and thinking with me. This area vocabulary chart was made by a teacher friend of mine in my district. She did the play-doh area activity and then made the anchor chart. One other way to incorporate technology and the concept of area, is to use the iPad and an App called, Geoboard, by The Math Learning Center.It's free! Sharing this with my teachers. Area is hard for little minds to grasp, but using this idea it will be much easier for them.